The Market Oracle reports that the fed is manipulating market prices, gold, oil and bonds. Questions Begging Answers - To say that markets have been behaving “strangely” recently is an understatement. In recent weeks and months we've been witness to historic lows in sovereign interest rates in-the-face-of record amounts of debt being issued by governments? We've seen the price of gold behave counter intuitively by “not rising” in-the-face-of unprecedented systemic global economic malaise? Last, but not least, we've witnessed a “complete flip-flop” in the traditional pricing of Brent Crude Oil [IPE-London] versus West Texas Intermediate [NYMEX-N.Y.]? So we have the price of gold, the price of crude oil and interest rates — three items vital to the integrity of the U.S. Dollar - ALL trading in total disregard for their underlying fundamentals? First and foremost it is imperative that everyone realize and understand that Gold “is” Money. We know that gold is money because every Central Bank in the world carries gold on their balance sheets as ‘an official reserve asset'. “In short, [the newly unearthed document] lays out what the Treasury and Federal Reserve needed to do in order to begin intervening in the foreign exchange markets, but there is even more. This document plainly shows what happens when government operates behind closed doors. 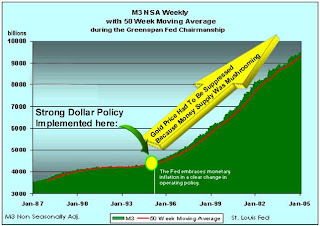 It also makes clear the motivations of the operators of dollar policy long described by the Gold Anti-Trust Action Committee and its supporters -- namely, that the government would pursue intervention rather than a policy of free markets unfettered by government activity. The run to redeem dollars for gold had put the government at a crossroads, forcing it to make a decision about the future course of dollar policy. This paper describes what the government would need to do by choosing the interventionist alternative. "At Royal Bank of Canada, we trade gold bullion off our foreign exchange desks rather than our commodity desks," says Anthony S. Fell, chairman of RBC Capital Markets, "because that's what it is — a global currency, the only one that is freely tradable and unencumbered by vast quantities of sovereign debt and prior obligations. "It is also the one investment and long-term store of value that cannot be adversely impacted by corrupt corporate management or incompetent politicians," he adds — "each of which is in ample supply on a global basis." In short, says Fell, "don't measure the Dollar against the Euro, or the Euro against the Yen, but measure all paper currencies against gold, because that's the ultimate test." Fell's admission coupled with the recently unearthed account of the Fed's game plan shows that gold “is” and always has been feared as competition for the U.S. Dollar and a game plan has long been in place to thwart it. This explains why economic data has been falsified and the price of gold has been surrepticiously managed and interfered with by the United States Treasury and the Federal Reserve. The mounting evidence is this regard is so compelling that from this point forward any ‘economist' attempting to explain our current situation without prefacing their explanation with an EXPLICIT ACKNOWLEDGEMENT that our capital markets are not free and are in fact RIGGED by officialdom — their analysis is not worth the time to read it. In this regard, perhaps never have more prescient words been uttered than GATA's Chris Powell in Washington in April, 2008 — when he opined, There are no markets anymore, just interventions . 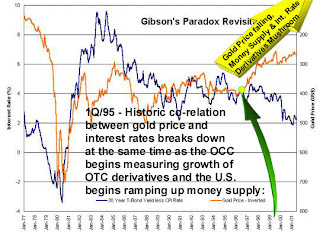 The recent decoupling in price of gold as measured by the spread between the futures price and the cost to obtain physical ounces is a stark reminder that smart money is beginning to repudiate fiat money by seeking tangible ownership of goods perceived to posses value instead of derivative ‘promises' to deliver the same. Normally, Brent crude costs $1-$2 less than WTI crude, according to James Williams, an economist at WTRG Economics. At its peak, the price spread between the two topped $5, according to his data. WTI usually trades at a premium to Brent " because of the slightly higher quality , and the extra journey" oil tankers have to take to get the oil to the U.S. , according to Amanda Lee, a strategist at Deutsche Bank. So "WTI minus dated Brent should be roughly equal to the freight rate," she said. Indeed, "crude-oil prices usually depend on two things: quality and location," said Williams. "The greater the distance from the major exporters, the greater the price." 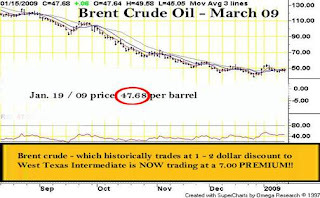 Brent Crude trading at a 7 Dollar premium to West Texas Intermediate is like the SUN rising in the west and setting in the east — and no-one asking any questions why? Thanks to the unearthing of the Fed's Playbook Document, referenced above, along with cumulative knowledge of the existence of the President's Working Group On Financial Markets [aka the Plunge Protection Team]; we know that interference in strategic markets with national security implications is now practiced commonly by the Government and the Fed working together. No other explanation for this distortion is plausible other than NYMEX regulators like the Commodities Futures Trading Corp. [CFTC - Plunge Protection Team members] are more brazen and actively complicit in market rigging of strategic commodities than their London counterparts. This manipulation is all being done in desperation; to preserve U.S. Dollar hegemony by perpetuating the illusion that inflation is being held at bay. Ample anecdotal evidence exists in a host of articles — particularly relating to derelict CFTC oversight of COMEX gold and silver futures - archived at kirbyanalytics.com to support this position. Last week the spot rate for Suezmax tankers was in the low $40k per day range. Yesterday, I check the rates and they have popped to over $90k this week! VLCC (very large crude carriers, i.e. supertankers) rates have not jumped as much but appear to be following the trend. So what is the deal here? Oil prices are falling and so is the apparent global demand for oil. Are not oil tankers just sitting around idle like the dry bulk carriers? The answer is somewhat counter intuitive. The spike in spot tanker rates is actually the result of the low oil prices. Many tankers are being leased on the spot market as storage tanks. Oil producers, for whatever reason, do not want to significantly slow their oil production, but at the same time do not want to sell it for $45 a barrel. So they are leasing tankers to store oil in the hope or belief that oil prices will recover shortly. Two names in news articles that I have read doing this are Royal Dutch Shell and Iran. The majority of the planet's oil production is owned by national oil companies that have policy and employment as well as financial reasons to keep the oil flowing. 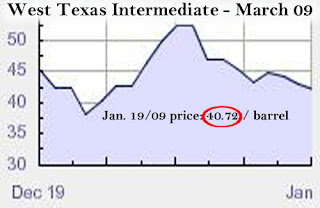 So at least in the short term, the current low oil prices are a boon for tanker owners. Oil tanker companies, like their dry cargo brethren, can sign their ships to either long term, multi-year leases or charter them on the spot market where they are leased for a single voyage at the current spot rate. The fact that “smart money” is now paying elevated prices to lease very large crude carriers [to store physical crude for later sale] is further evidence that faith in fiat money is waning simply because — you can do the same “trade” on paper — utilizing futures - without the bother and nuisance of leasing ships and handling the physical. Ask yourself why smart money has recently become engaged in buying ‘relatively illiquid' physical crude oil, in a world allegedly awash in the stuff, for resale at a later date — instead of playing futures, accepting promises and holding cash? Smart money is in the process of losing confidence in cash. It is vital that everyone understand that the function of interest rates in a system of usury is to solemnly act as the efficient arbiter of capital — rising to restrict money / credit growth when the economy overheats and falling to create the opposite when the economy cools. Interest rates no longer serve this function. As deceitfully disastrous as the surreptitious interventions in the crude oil and gold markets has been — they pale in comparison to the travesty which has been perpetrated through the premeditated hobbling of usury. The roots of this most wicked experiment are traceable to the appointment of Alan Greenspan as Chairman of the Federal Reserve and then to academia — Harvard — where Robert Barsky and Lawrence Summers co-authored an academic research paper in the 1980s titled, Gibson's Paradox and the Gold Standard . 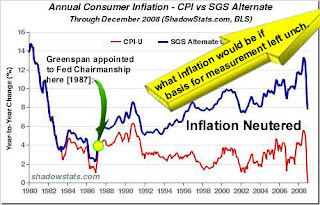 The “elevator speech” of what the paper examined was the co-relation between bond prices, inflation and the price of gold and, by extension, theorized that interest rates could be driven down [or kept low] — without sacrificing the currency - in the face of and despite profligate monetary policy so long as gold prices declined or did not rise. The Federal Reserve acting in cahoots with the U.S. Treasury utilizing the futures pits in N.Y. [COMEX] and the obscenity that has become J.P. Morgan's Derivatives Book — the Fed / Treasury combo seized control of both the gold price and interest rates. 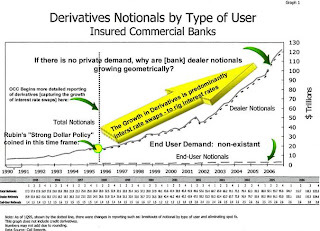 The mechanics of how interest rate swaps were utilized to suppress interest rates is chronicled and explained in detail at Kirbyanalytics.com in a paper titled, The Elephant in the Room . 1) gold is money and always has been feared as competition for the U.S. Dollar. 2) WTI usually trades at a premium to Brent " because of the slightly higher quality , and the extra journey" oil tankers have to take to get the oil to the U.S.
3) Brent Crude is trading at a premium to West Texas Intermediate, which is highly abnormal. I went over this in my entry: COMEX Futures Losing Relevance As Global Benchmarks. 4) The leasing of tankers to store oil is a sign that smart money is in the process of losing confidence in cash. I don't know how active the fed is in manipulating the market, but I do believe there is widespread government interventions going on. We will have to wait till after the dollar starts collapsing before we get a clearer picture of what is really going on in this regards. This entry was posted in Currency_Collapse. Bookmark the permalink. What do you think will be the social and political ramifications of a collapse dollar around the world? I have an opinion about it and it's not a pretty one. I just wanted your take on it, since you have a good handle on the socioeconomic and geopolitical knowledge of the financial environment. Why not devalue the dollar like FDR did with respect to Gold, then Pres.O. will have reduced the deficits in one stroke. This would enable to also tone down the deleveraging losses faced by the banks as the right down would ne considerably reduced in nominal terms and China's FX potential threat also reduced significantly. In the time of Roosevelt the dollar was still backed by gold. Befor he performed the devaluation Roosevelt confiscated Americans' gold through executive order 6102 (http://www.the-privateer.com/1933-gold-confiscation.html). Then he changed the amount of dollars that could be converted for one ounce of gold. Since Nixon took us off the gold standard in August of 1971 our dollar is no longer backed by gold. Therefore, the government can manipulate the price of gold in the open market but it cannot formally change the number of dollars that can be exchanged from gold. This next part is EXTREMELY important. During Bretton Woods the other foreign currencies (e.g., pound, lira, etc.) were FORMALLY pegged to the dollar and the dollar was FORMALLY pegged to gold. This FORMALLY made the dollar the reserve currency of the world. If you look back at news articles that came out last fall around the time of the G20 Summit you will see that several world leaders, including Italy's Silvio Burlusconi, called for a "new Bretton Woods." Given that at the first Bretton Woods they effectively FORMALIZED that the dollar would be the world's reserve currency, what do you think the odds are that if they had a new Bretton Woods they would affirm the dollar as the world's reserve currency? No way! When we have our next "Bretton Woods" it will formalize what we all know is already happening - the dollar is no longer going to be the world's reserve currency. I expect we will have a generated event (this may have been what Biden referred to last fall) during the week 3/3/09 - 3/9/09 that will be Obama's first major crisis (more severe than the current economic crisis). I personally have no idea what the event will be, but it could be the dollar's collapse. Where do you get the dates of 3/3/09 - 3/9/09 to have some significance? Is that the next G-20 meeting? What do you think will be the social and political ramifications of a collapse dollar around the world? 2) The dollar denominated debt of most third world countries gets wiped out. 3) Contries depending on US financial aid will likely suffer. 4) A drastic drop in living standards in all "service economies". 5) A rise in living standards in dollar pegged Asian countries. 1) All US debt will be wiped out. No one will be using credit cards in the US anymore. This purge of debt will make the economy much healthier and force people to live within their means. 2) SUVs traded in for scrap because no one will be able to afford to drive them with soaring gas prices. 3) Enormous anger at bankers who profited from the credit bubble and subsequent government bailouts. Top level CEOs of America's financial institution will find it hard to hold on to their wealth (and perhaps their lives). Americans are not likely to be in a forgiving mood. 4) Long term, debt-free America will stabilize its currency and start to grow its manufacturing sector. The US economy will begin to grow again based on real fundamentals, not foreign debt. The US is the world's reserve currency. If the US shows even the tiniest hint of intentionally devaluing its currency, central banks around the world will dump their dollar holdings, causing the currency the crash. In other words, it is impossible for the US to devalue the dollar "just a little", like what FDR did. Eric, that doesn't sound so bad. I hope it doesn't get any worse than you said. Sounds like a US dollar/fiat currency collapse will be good for the world. I hope all that talk of an attack on the US, Fed prison camps and Martial Law is just conspiracy theory talk and not true. Actually i believe those conspiracy theories are false. Just as false as there was a deliberate attempt to destroy the Federal Reserve Note. The demise of the Federal Reserve note and fiat currencies is not design, it's just part of bad monetary policy. It's the free market working as it is destined to do. If anything the Fed, central banks and govt. have been doing everything in their power to keep the Fed Note and fiat currencies alive, it had a good run but it's over now and I believe the world will be better because of this. If there is going to be a generated event, i don't think it will be the collapse of the USD. while i think this will happen eventually, i believe it is still a bit too soon -- of course i could be wrong. If I were to take a bet on a 'generated' event happening in March, i'd bet on an attack on nuclear facilities in Iran. though i believe even this may be too soon a time frame for this event to occur. Gerald Celente, Trend Research Institute forecaster suggests that by the end of February/early march we may see civil unrest start to break out in small pockets across the nation. perhaps this could be an event that may change the game a little bit. Hard to say what's coming. But i will maintain that there is manipulation, and not just in the markets, but geo-political events as well.